Ajumma is FAST! 아줌마는 빠르다! Here is a TV commercial that describes how fast ajummas are. In this TV commercial, they emphasises that their LTE service is faster than ajummas in the subway. This means they’ve provided the fastest LTE service in Korea. 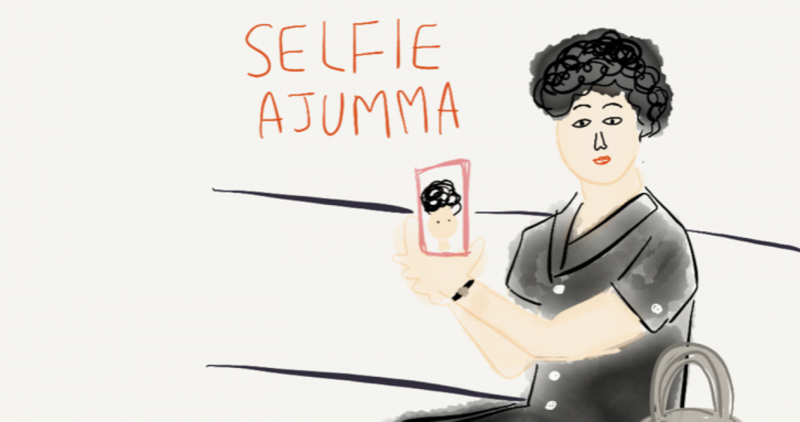 In reality, ajummas are faster than Usain Bolt in the subway, for sure. 지금 보여지는 이 광고는 아줌마가 얼마나 빠른지에 대해서 보여주고 있다. 이 광고를 통해, 그들이 제공하는 LTE 서비는 아줌마보다 빠른, 즉 대한민국에서 가장 빠른 LTE서비스를 제공하고 있다는 것을 강조하고 있다. 진짜로 대한민국 아줌마들은 지하철에서만큼은, 우사인 볼트보다 빠르다! 정말로! Posted on 8 Jan 2016 13 Jan 2016 by moon ajummaPosted in 스마트 아줌마 (한국어), Smart Ajumma (English)Tagged ajumma, Ajumma is fast, 아줌마, 아줌마 화이팅, 아줌마는 빠르다, 한국여성, Korean women, LTE.